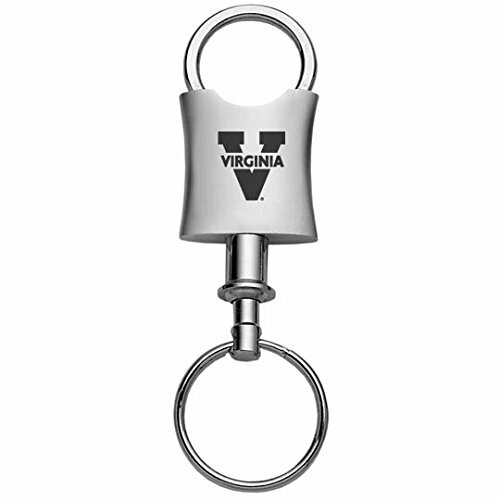 The University of Virginia Trillium valet key tag proudly displays your team spirit wherever you go. This keychain has a brushed metal and hand-polish nickel finish. This key tag is laser etched to ensure that our customers receive a completely durable and long-lasting product. The Northern Illinois University Trillium valet key tag proudly displays your team spirit wherever you go. This keychain has a brushed metal and hand-polish nickel finish. This key tag is laser etched to ensure that our customers receive a completely durable and long-lasting product. 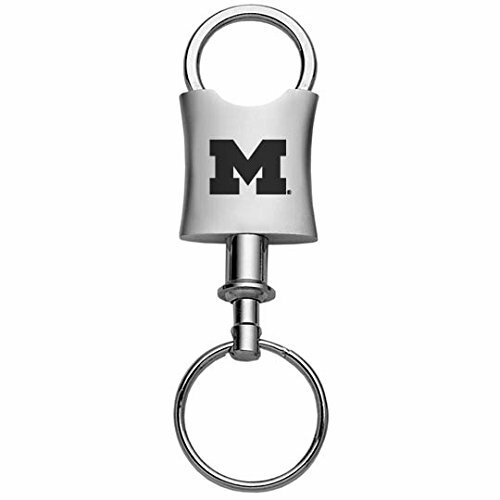 The University of Michigan Trillium valet key tag proudly displays your team spirit wherever you go. This keychain has a brushed metal and hand-polish nickel finish. This key tag is laser etched to ensure that our customers receive a completely durable and long-lasting product. The Baylor University Trillium valet key tag proudly displays your team spirit wherever you go. This keychain has a brushed metal and hand-polish nickel finish. This key tag is laser etched to ensure that our customers receive a completely durable and long-lasting product. The University of Kentucky Trillium valet key tag proudly displays your team spirit wherever you go. 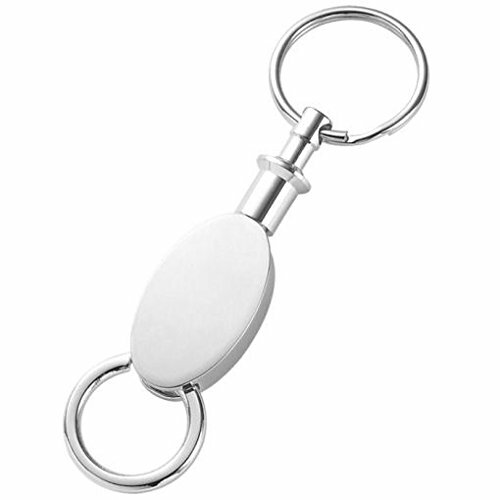 This keychain has a brushed metal and hand-polish nickel finish. This key tag is laser etched to ensure that our customers receive a completely durable and long-lasting product. The University of California, Santa Barbara Trillium valet key tag proudly displays your team spirit wherever you go. This keychain has a brushed metal and hand-polish nickel finish. This key tag is laser etched to ensure that our customers receive a completely durable and long-lasting product. The University of Houston Trillium valet key tag proudly displays your team spirit wherever you go. This keychain has a brushed metal and hand-polish nickel finish. This key tag is laser etched to ensure that our customers receive a completely durable and long-lasting product. The University of Arizona Trillium valet key tag proudly displays your team spirit wherever you go. This keychain has a brushed metal and hand-polish nickel finish. This key tag is laser etched to ensure that our customers receive a completely durable and long-lasting product. The Harvard University Trillium valet key tag proudly displays your team spirit wherever you go. This keychain has a brushed metal and hand-polish nickel finish. 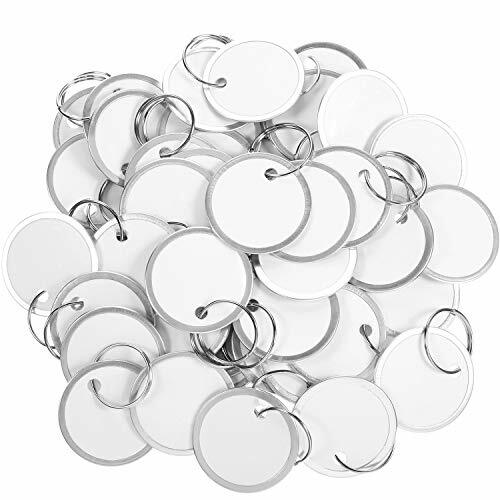 This key tag is laser etched to ensure that our customers receive a completely durable and long-lasting product. The Stanford University Trillium valet key tag proudly displays your team spirit wherever you go. This keychain has a brushed metal and hand-polish nickel finish. This key tag is laser etched to ensure that our customers receive a completely durable and long-lasting product. The University of Florida Trillium valet key tag proudly displays your team spirit wherever you go. This keychain has a brushed metal and hand-polish nickel finish. This key tag is laser etched to ensure that our customers receive a completely durable and long-lasting product. The University of Tennessee Trillium valet key tag proudly displays your team spirit wherever you go. 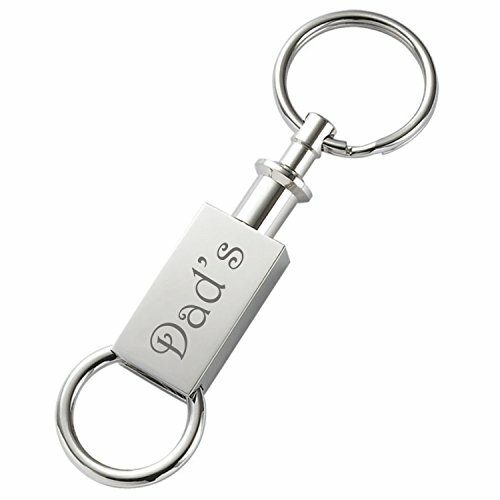 This keychain has a brushed metal and hand-polish nickel finish. This key tag is laser etched to ensure that our customers receive a completely durable and long-lasting product. This engraved silver valet keychain has a cool polished non-tarnish finish that looks really great when customized on both sides. Its smooth rounded finish and flat back will make your keys looks great. It is a great personalized gift! How To Send Engraving Instructions: 1) After completing purchase go to "Your Account" on the Amazon homepage and click "Your Orders" in the drop down menu. 2) To the right of your order click "Contact Seller" in the yellow tab. 3) Send engraving instructions in a message. Please include text, font style, instructions/comments for engraving and/or product. 4) Double check and reread text to avoid typos. Genuine Italian Vegetable Tanned Leather - Each Leather Key Holder is cut from a large piece of Full Grain Vegetable Tanned Leather from the finest tannery in 5-6 oz (2mm to 2.4mm). Eco-friendly valet Key Chain: This key chain is suitable for car, office, home keys and so on. 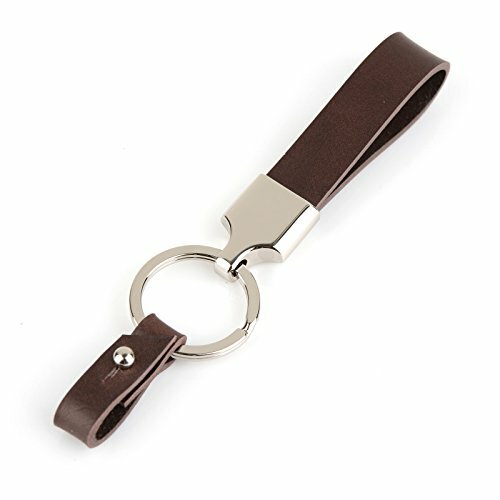 Keys can be found easily once you use this genuine leather key holder to organize all those kinds of your keys. Great Gift for Dad, Mom, friend, Uncle, Grandpa or anyone that is practical. Makes a great present for Christmas, Mother's Day, Father's Day, holidays, Easter, birthday, or get well. 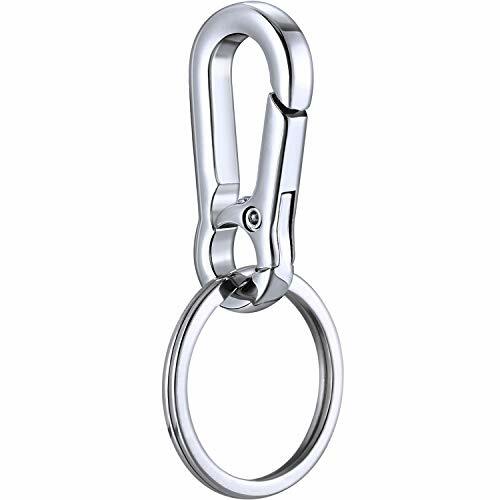 Our key ring hardware is a sturdy and durable flat sided split key ring 1.2 inches. Keychains measure approx. 5.5 inches in total length, including hardware. Well-designed: there is a strong leather belt strap to combine the key ring and the clasp. The clip can be attached easily to belt loops, bags, and stays in place. The United States Naval Academy Trillium valet key tag proudly displays your team spirit wherever you go. This keychain has a brushed metal and hand-polish nickel finish. This key tag is laser etched to ensure that our customers receive a completely durable and long-lasting product. The University of Minnesota Trillium valet key tag proudly displays your team spirit wherever you go. This keychain has a brushed metal and hand-polish nickel finish. This key tag is laser etched to ensure that our customers receive a completely durable and long-lasting product. The University of Colorado Boulder Trillium valet key tag proudly displays your team spirit wherever you go. This keychain has a brushed metal and hand-polish nickel finish. This key tag is laser etched to ensure that our customers receive a completely durable and long-lasting product. This engraved silver valet keychain has a cool polished non-tarnish finish that looks really great when customized on both sides. Its smooth rounded finish and flat back will make your keys looks great. It is a great personalized gift!